Are you looking for a clear SEO/Online Marketing Strategy for your Website/Business and wish to know what has to be done to improve your organic visibility? 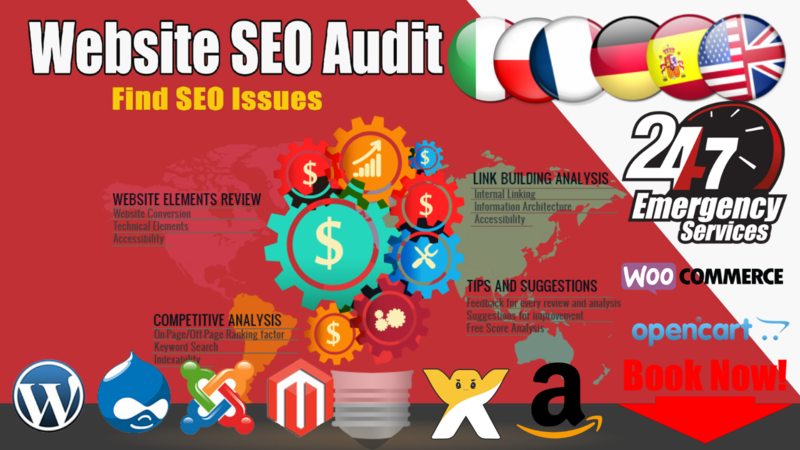 With this hourlie, you will receive a professional, human written and in-depth SEO Audit (40-50 pages report) with a comprehensive SEO/Online Marketing Strategy to implement for your website/business in order to improve its search visibility, ranking, traffic, leads, and sales. We DO NOT use automated software - this audit & strategy is purely written by a human. We’ll explain how to implement every recommendation. •	info.txt Creation for alexa and business directories. •	Recommendations and changes we think you should implement. 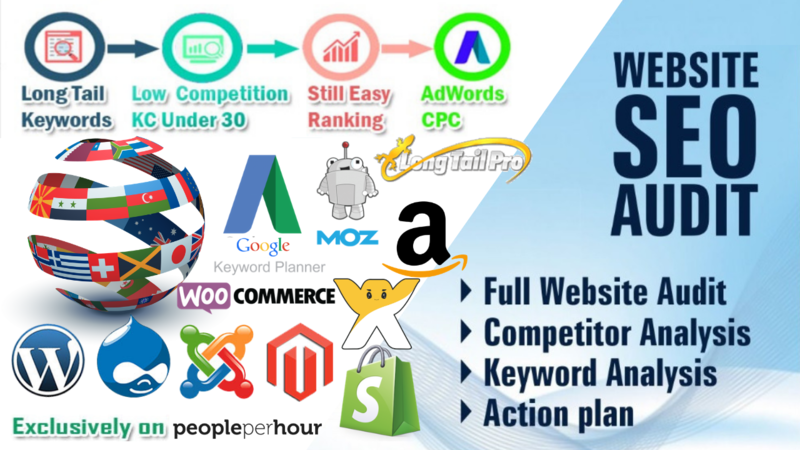 We will provide more than 250+ Keywords which are less competitive and highly targeted. So, what are you waiting for? No one can provide a perfect audit report better than us! If you have any questions, please don't hesitate to get in touch. Please provide your Website URL, URLs List of main online competitors, focus keywords and any others information you want to share. Professional Copywriters | White Hat SEO Consultants | Native Translators | Social Media Experts. Hi! Welcome to ONELIFESEO Agency: We are Professional Copywriters, White Hat SEO Consultants, Link Building Experts, Native Translators and Certified Social Media Experts who are passionate...Read moreHi! Welcome to ONELIFESEO Agency: We are Professional Copywriters, White Hat SEO Consultants, Link Building Experts, Native Translators and Certified Social Media Experts who are passionate about solving problems. You can hire us for WordPress Yoast SEO, Wix SEO, Shopify Store SEO, SEO Analysis, Website SEO Audit Report, Competitor Analysis, Keyword Research, Amazon Product Description or Listing, Amazon listing optimization, Meta Descriptions, Alt Tags, Heading Tags, SEO Content Writing, Blog Writing, Article Writing, Social Media Account Creation, SEM, SMM, Digital Marketing, Spanish Translations, Russian Translation, German Translations, Italian Translations, French Translations, Croatian Translation, Social Media Account Creation, Copy and Paste Work and hourlies images designing services. If you are looking for high Quality services at an affordable price? Inbox us.